Baidu Inc (ADR) (NASDAQ:BIDU), the biggest search engine of China, has come forward to support the taxi-booking app, Uber Technologies Inc., by purchasing a minority stake in the company. The recent round of funding put the app company at a whopping market valuation of $40 billion dwarfing automobile manufacturers such as Tesla Motors Inc (NASDAQ:TSLA). Uber has laid down plans to expand in China and the app-booking company is likely to start with 14 cities in the country. 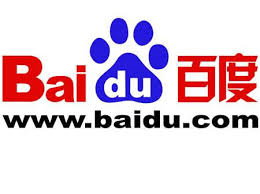 The company has received support from Baidu Inc (ADR) (NASDAQ:BIDU) and the search engine company is likely to invest up to $600 million in the car-booking service. The investment will be made in both cash and non-cash assets. As of now, Uber has its presence in Shanghai, Beijing, Tianjin, Guangzhou and southern Shenzhen. It is an excellent opportunity for Baidu Inc (ADR) (NASDAQ:BIDU) to expand its footprint in the industry considering its rivals including Alibaba Group Holding Ltd (NYSE:BABA) and Tencent Holdings Ltd (HKG:0700) already working in the field. Alibaba Group Holding Ltd has investments in the largest taxi-booking app in China, Kuaidi Dache, which registered 54.4% business of the taxi-booking market of China at the end of the third quarter. Similarly, Tencent Holdings Ltd (HKG:0700) is backing Didi Dache, which has 44.9% market share at the end of the third quarter. Baidu Inc (ADR) (NASDAQ:BIDU) is holding an event on December 17 titled “Uber Press Conference” and the company is likely to make further announcement in the event itself.